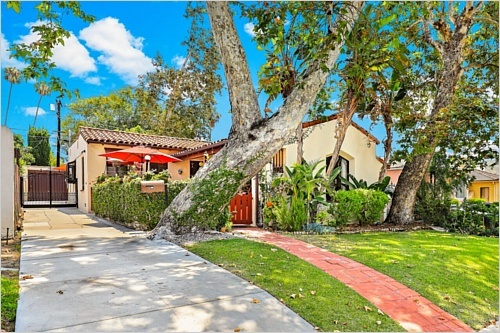 This great Spanish style home in the sought after Rossmoyne pristine neighborhood, has been updated and preserved to its Spanish revival. 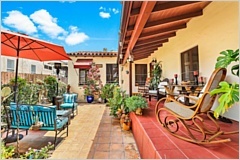 As you enter you will be greeted by an adorably decorated patio and a front porch. 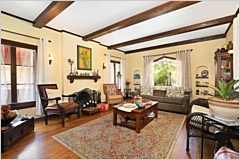 Immediately you begin to experience the beauty of Spanish revival that welcomes you into a sunken living room with a decorated wood fireplace, hardwood floors and original Spanish windows. 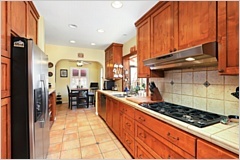 The formal dining room leads you into a large eat in kitchen with plenty of wood cabinetry and tile floors. The spacious master bedroom will surprise you with a roman style bathroom, a walking closet, and French doors that opens up to an enclosed cover patio. 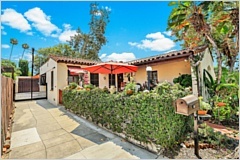 An entertaining dream, the lovely private back yard will give you all the amenities necessary for a great social experience, with an outside restroom. 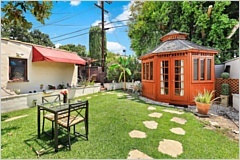 At one corner you will be charmed by a delightful resort-type studio gazebo used by the owner as office space. The spacious second bedroom also has a walking closet. And the hallway Roman style bathroom is illuminated by skylight and is very spacious, with its own shower and bathtub. 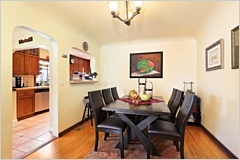 This beautiful property is in a walking distance to a community park, Trader's Joe, Whole Food Market, and Americana.